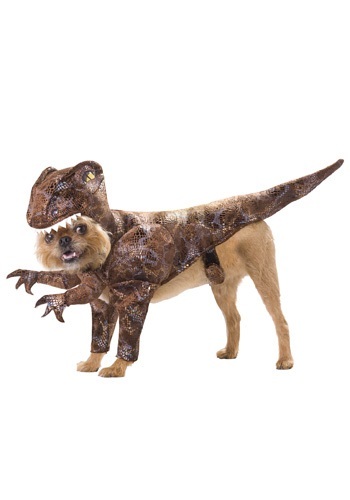 Go for a walk in the Jurassic park with your dog this Halloween. 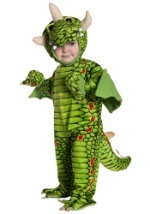 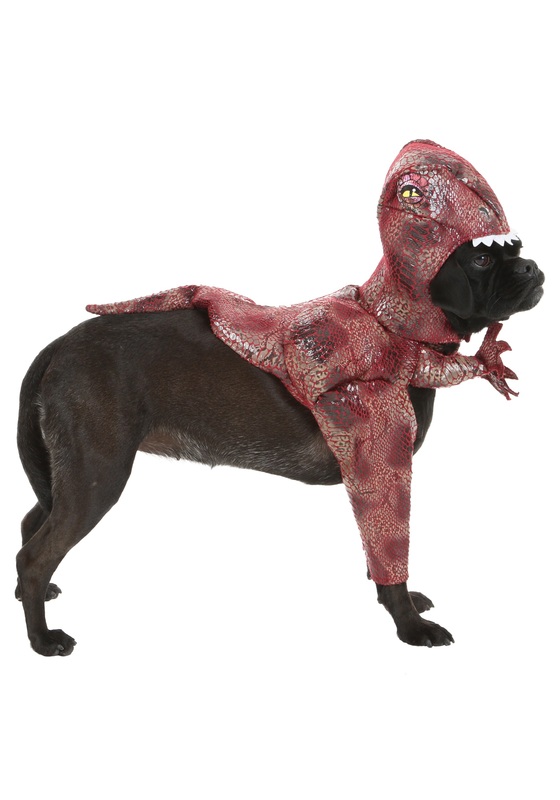 This funny raptor rex dog costume features a detailed bodysuit with a glossy exterior that is patterned like lizard skin. 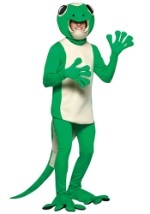 The soft interior sports padding at the shoulders to enhance the raptor's definition, while the raptor's forelegs are also padded to protrude from your dog's body. Your dog's front legs slide into the raptor legs so that only the paws stick out. 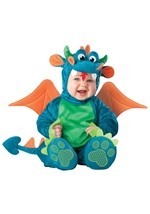 The polyester bodysuit has a velcro strap that secures around the dog's stomach, and another strap at the neck. 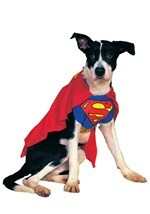 The hood also velcros around the neck and has a soft interior for your dog's comfort. 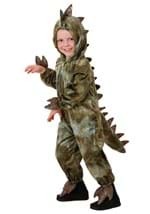 The hood has great details like eyes and nostrils, as well as a jagged row of teeth lining the top jaw. 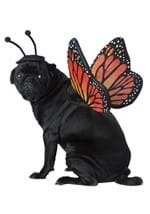 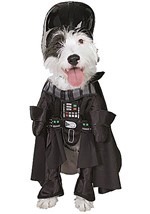 Check out our other pet costumes for more fun with your dog!